India is a fantastic place for travellers and an endless celebration with countless fests and fairs. Starting from natural beauty, to cultural heritage, this country has everything in store for you. This April, there are various fests where you can have a gala time. Where: Indira Gandhi Memorial Tulip Garden, Srinagar, Kashmir. Kashmir is the most picturesque in spring because of the flowering tulips. During April, the Tulip Festival attracts a lot of viewers to this place for experiencing the mesmerising colours all around. The festival also features cultural programs, a sale of local handicrafts and Kashmiri folk songs. However, make sure you check with a local about the exact dates for this one, since they do seem to shift about the calendar each year. And yes, one must surely not miss the traditional Kashmiri Cuisine, while here. Marking the onset of spring and new year for the Konyak tribe, this one is identified by traditional dances, costumes, food, music, drinks, animal sacrifices and more for a couple for days as well as nights. Not only is the festival to keep you hooked, the terrain and remoteness of the area also tend to cast a spell. The popular honeymoon destination of Mahabaleshwar has everything-from soaring peaks, to lush meadows, breath-taking valleys and an abundance of flora. In March, a 3-day Strawberry Festival is organised here which attracts fruit lovers from all over the country. The Mapro Strawberry Festival is a three-day annual event which is one of the most awaited festivals of Mahabaleshwar; it aims to spread sweetness, cheeriness, and love all over the world. It was initiated roughly four years ago when there was an excess production of strawberries. This music festival is held in the beautiful hills of Kasauli. 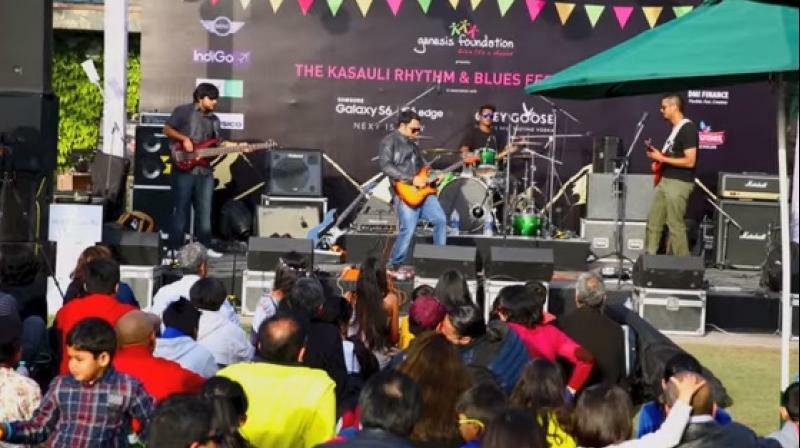 This fest attracts youth from all over India where they get to experience the musical concoction of Blues, Jazz, Rock, Pop, Funk, Electro Rock and Fusion. They work for a more significant cause and help underprivileged children who suffer from various health problems. Legend has it that Lord Kallazhaga having missed his sister's wedding was furious and through the Vagai River, makes his journey home. The Chithrai festival marks this journey by processions throughout the streets of Madurai. The wedding is marked by a huge celebration and grand decorations are put up all over the city. Colours, fireworks, cultural performances all come together in a beautiful amalgamation during the Vallangi Vela Festival in Nemmara. 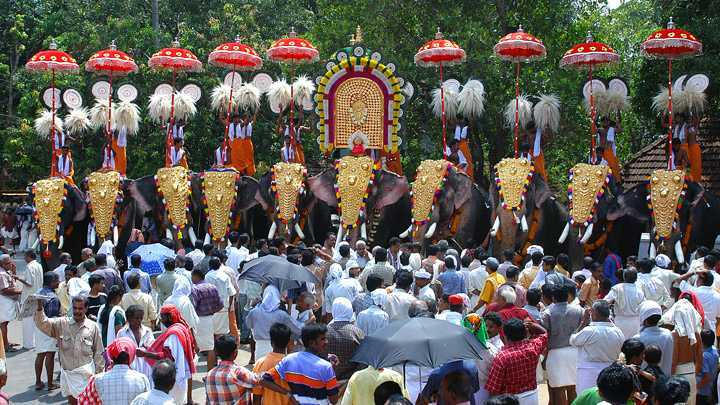 The festival is hosted in honour of the deity Bhagavathy at the Nellikulangara Bhagawathy Temple, on the 20th day of Meenam (a Malayalam month) where magnificently decorated elephants are taken out in a procession. The pandal is also illuminated beautifully and can be viewed from miles away. It is one of the most colourful festivals celebrated on the shores of Kerala with great vigour and enthusiasm. A colourful and musical festival celebrated in the sands of Rajasthan is the Jodhpur Flamenco and Gypsy Festival (JFG). 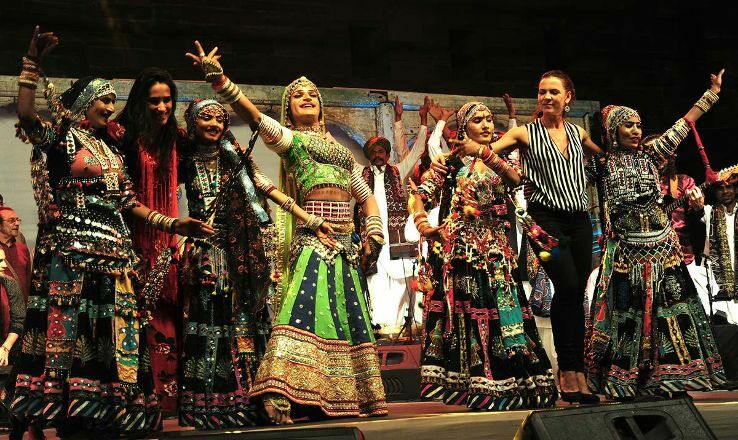 This eccentric festival aims to promote a link between Rajasthani folk music, the traditional Gypsy culture and flamenco dancers of Spain, hence propagating a more contemporary view on music and dance. It is a platform that helps the artisans from the corners of the world to explore each other's cultural heritage. Musicians, dancers, singer and all artists add charm to this festival. Each year the festival is hosted at the Mehrangarh Fort and this year it will be held from 3rd - 5th April 2019. Do you know of more fests that should be on the list? Let us know in the comments below. You can also check out the Best Places for April in India.